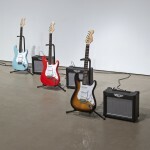 Matt Rogalsky, Discipline, 2011. 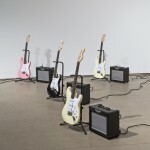 12 Fender Stratocaster guitars, amplifiers, computer script, FM radio signal, dimensions variable. 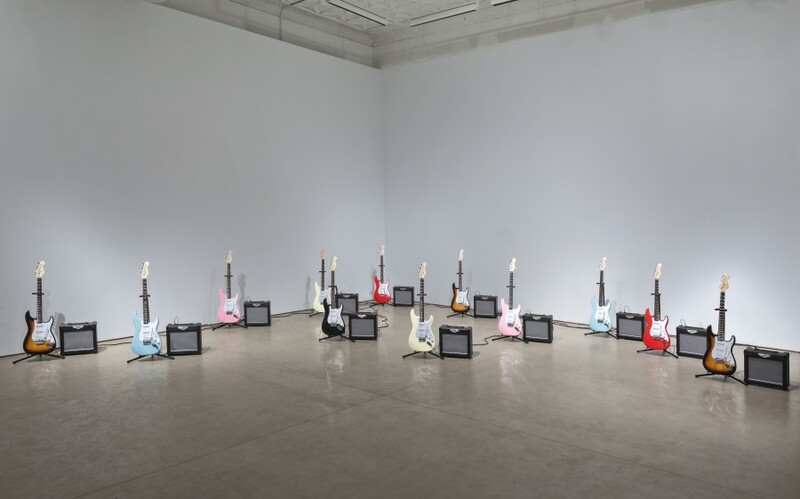 Installation view at Open Ears Music Festival. 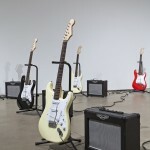 Discipline focuses on the electric guitar as the iconic musical instrument of the 20th century and an object of obsession. 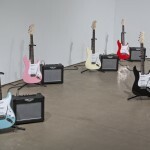 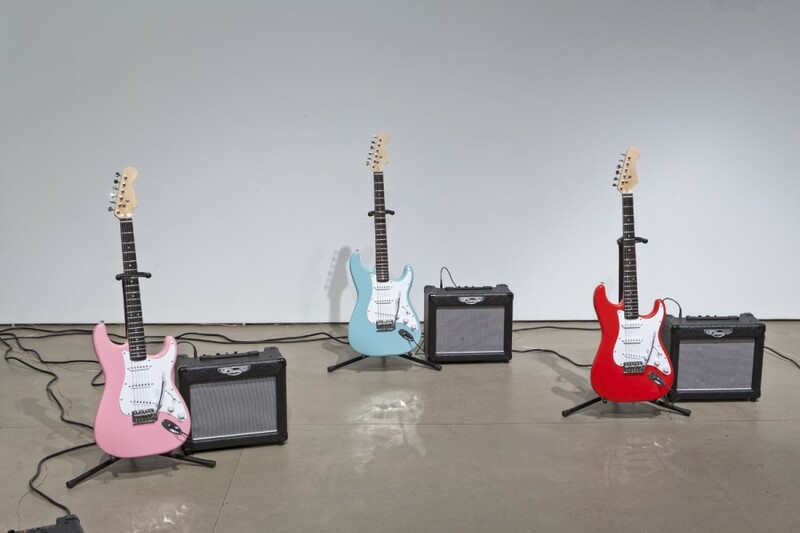 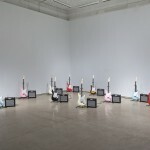 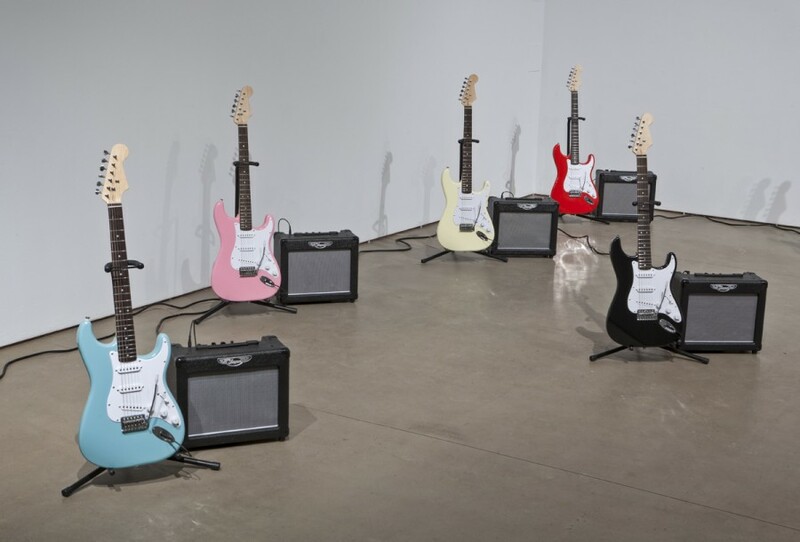 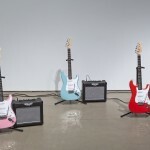 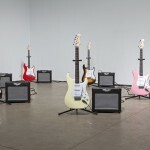 The model of guitar used in the installation—twelve of them in bright colors, brand name hardly needing to be mentioned—was designed in 1954 and remains essentially unchanged as a staple of rock and pop musicians worldwide. 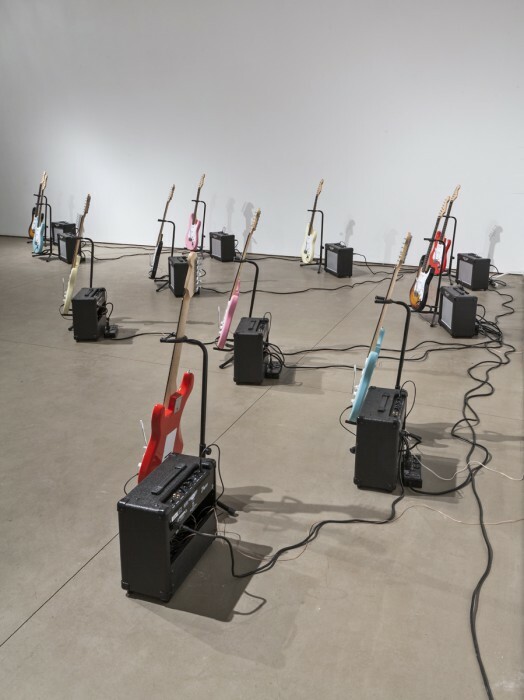 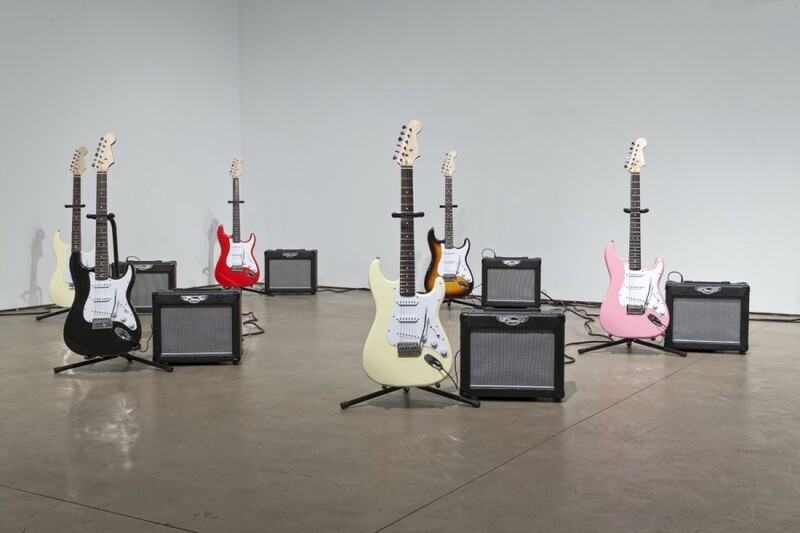 In this installation, each guitar is tuned to a single pitch class, so the twelve together represent the 12 tone equal tempered scale. 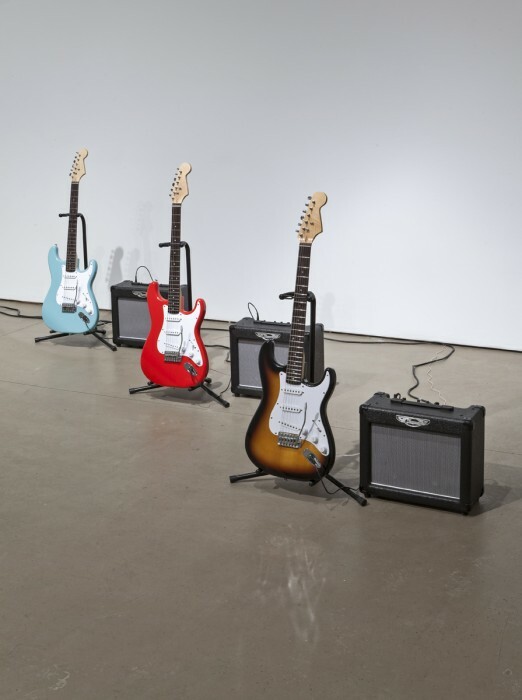 The guitars are invisibly played by wiring their pickups in reverse, so that external signal sources can resonate the strings through the pickups’ fluctuating magnetic field. 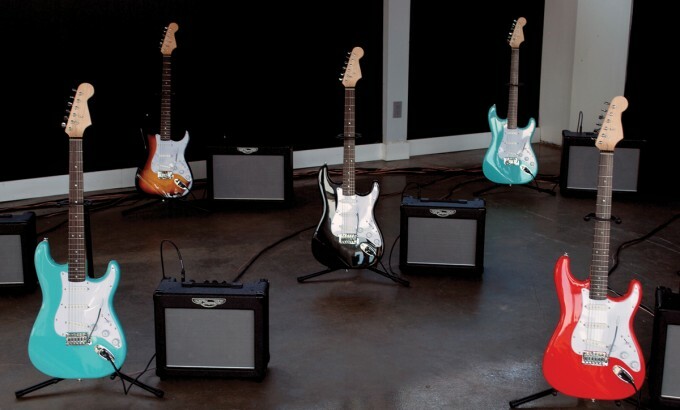 The driving signal for the guitars is a live classic rock radio station. 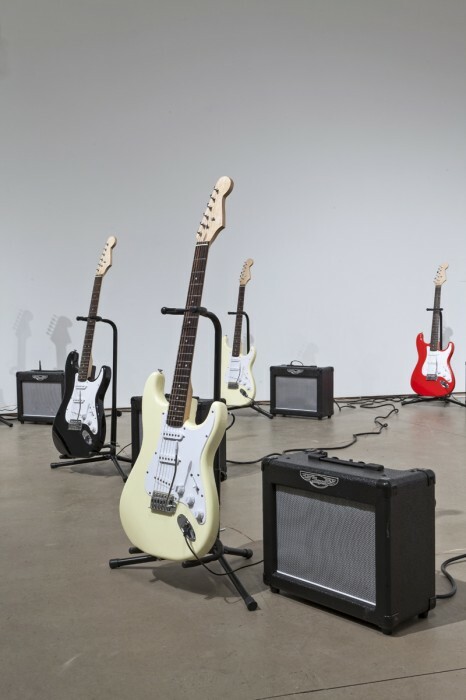 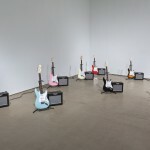 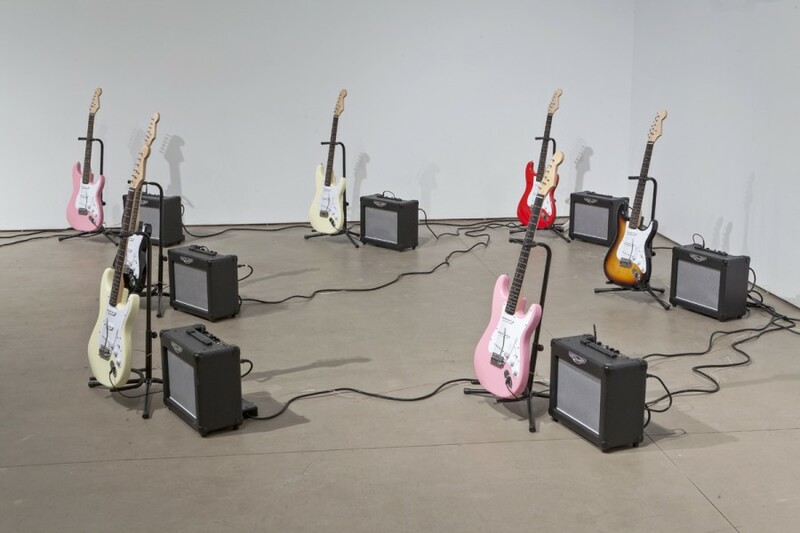 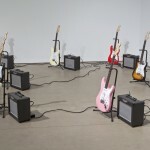 Via original software written in the SuperCollider music programming language, each guitar responds only to the presence of its pitch class in the radio signal, so the twelve together create a shifting, spatialized resonance which shadows the songs being played live on air. 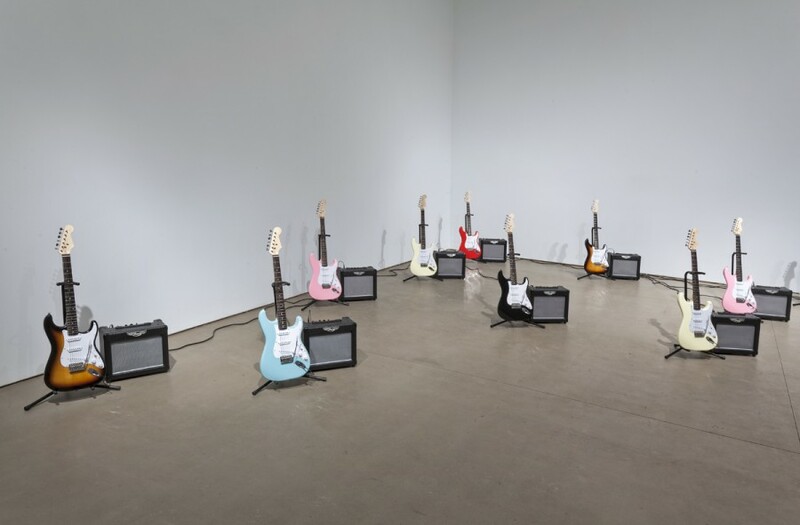 The radio station is not heard directly—only through the guitars’ shimmering response. 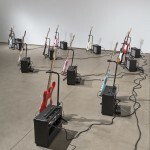 The piece has several reference points both sincere and ironic, including the “boy culture” of guitar-store shredding and ubiquitous all-too-familiar riffs, Robert Fripp’s “guitar craft” approach to mastering the instrument (Discipline is also the title of a King Crimson album and song), and the apostle-like devotion often accorded the electric guitar and the canon of classic rock. 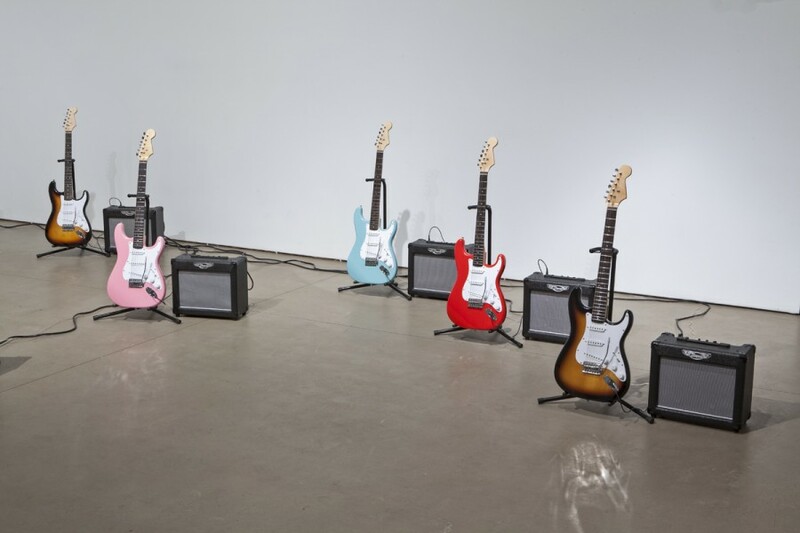 Matt Rogalsky’s activity as a performing and exhibiting composer and media artist often focuses on exploration of abject, invisible/inaudible, or ignored streams of information. 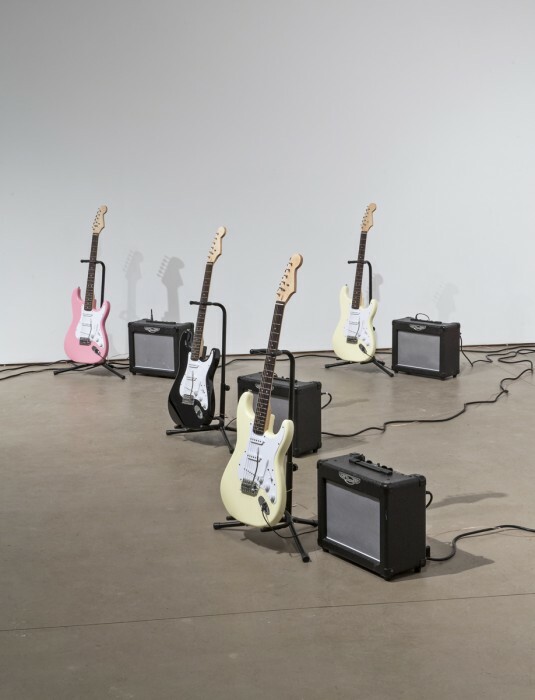 Recent pieces includes ANT/LIFE/ART/WORK, a site-specific installation listening in to the sound world of thatching ants, and Memory Like Water, a series of installations and concert pieces exploring the “ow and malleability of memory. 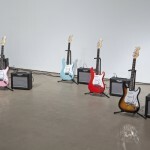 His work has been presented in galleries and concert venues throughout North America and Europe. 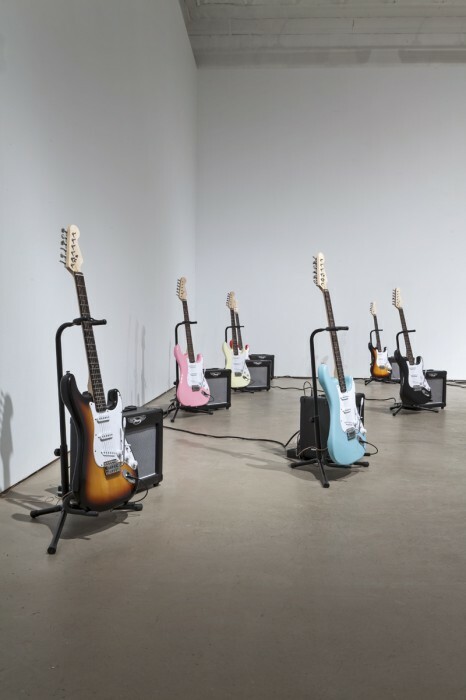 Rogalsky teaches electroacoustic music composition at Queen’s University, plays guitar with Canadian alt-folk group The Gertrudes, and is also known for his audio engineering and production work, most recently with Polaris Prize-nominated noise-pop band PS I Love You. 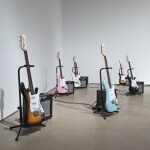 Matt Rogalsky lives in Kingston Ontario Canada.